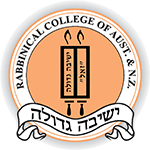 History - Rabbinical College of Australia and N.Z. Melbourne is blessed with many fine homes and schools. Through the foresight of the founders of the Rabbinical College, and with the approval and blessing of the Lubavitcher Rebbe, Rabbi Menachem Mendel Schneerson, one of Melbourne's grandest homes was chosen to fulfill a major need in Australia - the learning of Torah. The 127 square building, set in magnificent gardens at 67 Alexandra Street, East St Kilda is a focal point in Australia today of Torah learning. On 1st February, 1966 (11th Shevat 5726), under the direction of the founder and first administrator of the College, Reb Zalman Serebryanski, six students were brought together to start the first tertiary institute of higher Jewish studies in Australia - Melbourne's Yeshivah Gedolah. The Rosh Yeshivah was Rabbi Lazer Herzog. Students from Sydney augmented their numbers a few months later. Interstate students have remained a feature of student life each year thereafter. When the Yeshivah Gedolah was initially being established, Reb Zalman Serebryanski wrote a lengthy letter to the Rebbe raising the matter of sending a handful of senior bochurim to assist in creating a spirit and environment of learning in the fledgling yeshivah. The Rebbe wrote back saying that the Yeshivah Gedolah should be started and after a trial period with local students, he would send shluchim. Later that year, Rabbi Chaim Gutnick visited the Rebbe in New York and in a private audience again broached the subject of shluchim. It was not long before the Rebbe personally hand-picked six outstanding students to be sent from New York to the other side of the globe. In 1967, Melbourne Australia’s Yeshivah Gedolah became the first yeshivah in the world to receive student shluchim (emissaries) from the Rebbe. The presence of these young men brought a new dimension to student life. From a city with a population of 3 million Jews, they brought with them the richness and vitality that is modern Jewish life. They are living examples of the standards attainable by Jewish youth and give inspiration and guidance to the local students. The Rabbinical College was originally located on Goathlands Avenue in East St Kilda, and then moved to Kalymna Grove. In 1969, Rabbi Chaim Gutnick together with his brother Rabbi Sholem Gutnick and Reb Chaim Serebryanski, purchased the house at 11 Meadow St, East St Kilda in an attempt to settle the college. However, due to Council objections, Yeshivah Gedolah was not to stay there for long and a new location had to be sought. On Yud Tes Kislev 5731 (December 1970) after Rabbi Chaim Gutnick contacted and received the Rebbe’s encouragement and blessing to go ahead, the property in Alexandra Street was purchased as Yeshivah Gedolah’s new home. On being informed that day that the purchase had been finalised, the Rebbe said with a smile, “You will probably ensure that I won’t have any trouble with mortgages.” Rabbi Gutnick together with his brother canvassed community members and raised funds to pay off the mortgage on the property. During a private audience, the Rebbe handed Rabbi Gutnick an open cheque to be used as his personal contribution towards the purchase. The cheque was later filled in for the sum of $4,000. The balance of the mortgage was eventually paid off in 1982 by his son, Rabbi Joseph Gutnick. The mansion, built in the 1880's, has as its central feature a large study hall, which makes it ideal for a Yeshivah. Ample residential accommodation for students is also available. Built in the days when no expense was spared, the result is a striking grandeur that befits the spiritual reconstruction now performed there. In the years 1967 - 1971 students of the Rabbinical College were invited for the first time to spend a week with community groups in Hobart, Brisbane, Perth, Adelaide and New Zealand, during the College holidays. As the need for Torah education in out-lying communities is so great, helping distant communities has remained a facet of student activity each year. All capital cities in Australia have welcomed student visits in an effort to raise Jewish consciousness and to fight assimilation. Due to an increase in numbers at the College, the need arose for more staff. In 1971, Rabbi Avrohom Blesofsky was appointed to strengthen the learning program in Chabad Chassidus and provide daily guidance for the students. The increased demand for shiurim necessitated the appointment of a further member to the staff. Rabbi Binyomin Cohen, after teaching at the Yeshiva "Hadar HaTorah" in New York, was appointed in 1974 as Rosh Yeshiva. Now, a Gemoroh learning programme of world standard was available. Reb Zalman Serebryanski, retired from active work at the Yeshivah Gedolah in 1977, after 25 years of community service in Australia. A Silver Jubilee Dinner was held to honour the occasion at the Southern Cross Hotel. Guest of Honour was the Premier of Victoria, the Hon. R.J. Hamer. A former student, Mr. Avrohom Procel, was appointed as Executive Director that year. The first Sydney Seminar was held at the Yeshiva Shul in Flood Street, Bondi, in 1980. The entire staff and students of the Rabbinical College travelled to Sydney to give local students the opportunity to participate in a special one-week programme including Shabbaton, farbrengen and study groups. The Rabbinical College Diary was first published in 1983. The diary is well established and because of its size, layout and information is very popular and sought after. It receives widespread distribution. In 1985, a new effort to bring the College to the people commenced. The staff of the College was expanded to incorporate a position for a Student Programs Co-ordinator and Magid Shiur (Lecturer). Another ex-talmid of the Rabbinical College, Rabbi Mordechai Szmerling was selected. His task, to open the doors of learning to students of all ages. In 1986, the first public lighting of a Chanukah Menorah was organised by the Yeshivah Gedolah in the Melbourne City Square. Other venues were the Victorian Arts Centre and St Kilda Town Hall. Various dignitaries were invited to attend each year. The lighting of the Menorah has become an annual event enjoyed by thousands of men, women and children from all sections of the Jewish community. Ceremonies are now celebrated in all Australian capital cities. The display of Menorahs in banks, supermarkets and other public places was also initiated by Yeshivah Gedolah. In recent years, the Chanukah celebration has been arranged by the Chabad House of Caulfield. In 1987 a number of successful seminars and programs were conducted by students of the Yeshivah Gedolah in conjunction with the Carmel School in Perth. Students were involved with lectures, discussions, informal get-togethers and visits to families in the community. 1987 was also the first time a Mobile Succah was located in the Melbourne City Mall. Hundreds of passers-by availed themselves of the opportunity to bless the Lulav and Esrog and eat in a Succah. In November that year, the first convention for students of the Melbourne and Sydney Yeshivah Gedolahs took place in Melbourne. Yeshivah Gedolah was the subject of the Australian Scene section of Time Magazine in 1988. It was also the Year of Building. Over $250,000 was spent on the installation of a new sports court, commercial kitchens, heating/air conditioning systems and renovation of the Joseph and Stera Gutnick Dormitory. In 1989, Rabbi Yaakov Winner arrived with his family from New York to assume the position of Mashpia (spiritual mentor) and lecturer in Chassidic studies. The first overseas students enrolled to study at Yeshivah Gedolah. Students now come from the USA, Canada, United Kingdom, South Africa and other countries around the globe. They have been an integral part of the student body ever since. In 1992, the Rabbinical College celebrated its 25th Anniversary with a gala dinner at the Melbourne Hilton. Over 700 people attended the dinner which took place on Reb Zalman Serebryanski's first yahrzeit. Rabbi Levi Wineberg of South Africa was the keynote speaker. 1992 saw student numbers continue to grow and our first second-generation students attended the college. The sefer "lyei Hamelech" was published by one of our shluchim, Rabbi Motty Liberow. In December 1993, the Rabbinical College became Victoria's first tertiary Jewish college to be formally approved by the State Training Board of Victoria as a Registered Private Provider of vocational education and training. Today, students completing the course are awarded a nationally recognised Diploma of Talmudic Studies. Eligible students are also able to receive Youth Allowance benefits. The Minister for Tertiary Education and Training, the Hon. Haddon Storey presented the college with its certificates of registration at an official presentation ceremony in February 1994. Capacity enrolments of 50 students in 1994 and 1995 necessitated the upgrading of dormitory facilities to cater for the increased numbers. In line with the administration’s policy of continually improving the manner in which information is provided to students wishing to attend the Rabbinical College, Enrolment Pack was first issued in 1996. It has received acclaim from institutions overseas. As part of the Rabbinical College’s nationwide Outreach Program, Shluchim and students have regularly visited Tasmania, usually Launceston or Hobart, to assist in services on Rosh Hashona, Yom Kippur, Simchas Torah, Chanukah and Purim. However, 1996 was the first time that shluchim went there to arrange the Sedarim for Pesach. It was also the first time in eight years that a public seder was organised. In November 1996, well-known Melbourne mining magnate and philanthropist, Rabbi Joseph Gutnick accepted an invitation to become the first President of the Rabbinical College of Aust. & N.Z. In 1997, over 250 people attended the Yeshivah Gedolah on 15th Ellul to celebrate the 100th Anniversary of the establishment of the world-wide network of Lubavitcher Yeshivos of Tomchei Tmimim, originally founded in 1897 by the fifth Lubavitcher Rebbe, Rabbi Sholom Dovber Schneersohn in the city of Lubavitch. Students were taught that they must become “Lamplighters” and “light up the world”. Melbourne’s rabbis, alumni of Yeshivah Gedolah, those who had learnt in branches of Tomchei Tmimim elsewhere and friends of the college participated in the largest farbrengen ever to be held on the premises. Before the farbrengen commenced, Rabbi Binyomin Cohen (Rosh Yeshivah), Rabbi Yaakov Winner (Mashpia) and Rabbi Joseph Gutnick (College President) all addressed the crowd. Guest of Honour was Rabbi Leibel Groner, the Rebbe’s personal secretary for over 40 years, who farbrenged until four in the morning. A commemorative journal to mark the occasion was prepared by Yeshivah Gedolah’s shluchim and distributed to participants. 1n 1998, a Cassette Tape library was established for people wishing to listen to shiurim or talks by renowned Jewish speakers. The tape library is part of the college’s Moishe & Leah Kagan Torah Lending Library which contains several thousand books on a wide range of Jewish topics. 1998 also saw Seder Bircas Hanehenin, Seder N’tilas Yodoyim l’S’uda being published by the Rabbinical College in conjunction with Kehot Publication Society in memory of Reb Zalman Serebryanski. It was the first time the sefer has been published in a bi-lingual edition. In 1999, two extra bedrooms were built to cater for growing student numbers. In addition, a second Gemoro Girsa shiur was introduced to offer students the option of basic or advanced levels at which this subject may be studied. Hundreds of Jews throughout Australia and New Zealand were able to participate in traditional Pesach sedarim thanks to the efforts of shluchim studying at the Rabbinical College. Groups of students armed with kosher food, wine, shmurah matzos, mezuzos and Jewish books visited Jews in areas as far afield as Darwin in the Northern Territory for the first time, Adelaide, Byron Bay, the Sunshine Coast, Cairns as well as Auckland, Wellington and Hamilton in New Zealand. In 2000, installation and upgrading of Fire Safety equipment and renovation of the dormitory bedrooms took place at Yeshivah Gedolah. The year also marked 50 years of Lubavitch in Victoria and 50 years since the Rebbe’s appointment. To mark these anniversaries, editions of the Chabad Chassidic work “The Tanya” were printed in some 44 different townships in Victoria. Cities and towns included Ballarat, Bendigo, Warrnambool, Ararat, Glenelg, Wangaratta, Swan Hill, Mildura and Horsham. Students Moshe Raichman of Houston, Texas, Dan Gordon of Sydney and Shimon Walles of Melbourne dedicated their summer vacation to the project. In 2001, Rabbi Sholom Ber Engel was appointed to the full-time position of Mashgiach at the college. The appointment came in response to the further growth in student numbers in recent years and the need for additional staff. Yeshivah Gedolah commenced the 2002 academic year with an unprecedented jump in student numbers. Seventy local, interstate and overseas students enrolled at the college to undertake our full-time course. In 2003, Australian Jewry lost one of its most prominent and best-loved Rabbis, Rabbi Chaim Gutnick. So too at Yeshivah Gedolah, his passing deprived the institution of one of its guiding lights and pillars of support. Intimately involved in the development of the Yeshivah, Rabbi Gutnick was its senior Rosh Yeshivah and one of the original five trustees personally appointed by the Lubavitcher Rebbe. The other four were Reb Zalman Serebryanski, Rabbi Yitzchok Groner, Rabbi Sholem Gutnick and Mr David Feiglin. In 2004, the mammoth task of rewriting the Diploma of Talmudic Studies course was completed. This was necessary due to government changes and new compliance requirements. The course was accredited by the Victorian Qualifications Authority (VQA). With student numbers increasing over the last few years, the need for additional staff once again developed. Rabbi Shmuel Lesches was appointed as a Magid Shiur. During the July mid-term break, modern shower and bathroom facilities were installed for the students’ benefit. In 2005, submissions were prepared which resulted in all Yeshivah Gedolah staff being awarded Certificate IV in Workplace Assessment and Training qualifications. Rabbi Shmuel Lesches introduced the use of multimedia technology to Gemoro classes at Yeshivah Gedolah. The college, which is committed to a program of excellence, purchased a laptop computer which he uses to develop and prepare PowerPoint presentations. Shiurim are still based on textual study of the gemoro with the presentations complementing and enhancing the study through introductions, summaries, diagrams and explanations. The project is primarily geared towards students who require assistance in their learning. Students who have reached higher standards are taught by the more traditional methods. Yeshivah Gedolah was again the site of a flurry of activity as renovations continued on from the previous year. Bedrooms in the main building were rewired and bathroom renovations completed. The major project of re-concreting the car park, kitchen areas and rear driveway was also carried out. The Moishe & Leah Kagan Torah Lending Library expanded its services with the establishment of an MP3 lending library. In 2006, new commercial ovens and exhaust canopy were installed in the milchig kitchen. Carpets in the study hall, Baker Library and Gutnick Dormitory bedrooms were removed and the timber floors polished, bringing them back to their original splendour. In January 2007, our submission to The Hon Gary Hardgrave, Federal Minister for Vocational and Technical Education, to make declarations recognising the college as a Technical and Further Education (TAFE) institution was successful. The Rabbinical College thus became the first tertiary Jewish institution in Australia to achieve such status. Our subsequent application to have the college endorsed by the Australian Taxation Office as a Deductible Gift Recipient was also successful. The Rabbinical College thus achieved full tax-deductible status for all gifts and donations made to it. June 2007 saw over five hundred community members celebrate the completion of a new Sefer Torah which was donated to the Rabbinical College in memory of the late Mr John Slater by his wife, Mrs Elizabeth Slater, together with their son and daughter-in-law, Joe and Batia Slater. This was the first time that a Sefer Torah has been written for Yeshivah Gedolah. Joe is one of the college’s alumni. The completion of the Sefer Torah took place at the home of Rabbi and Mrs Binyomin Cohen. Men, women and children then paraded to the Rabbinical College along Alexandra Street where tehillim was recited and hakofos took place. Following the Hachnosas Sefer Torah ceremony, guests attended an elegantly catered seuda at Kimberley Gardens. The future – Yeshivah Gedolah launches its most ambitious project – a major extension and renovation of its Alexandra Street campus. Included in the proposals are new dormitory facilities to be constructed, extensions to the study hall and dining room, modernisation of the kitchens and upgrading of the administration centre. When completed, the new works will see Yeshivah Gedolah well into the next decade, maintaining its reputation as one of the finest colleges of higher Jewish learning in the world today. The establishment of the Rabbinical College has ensured that Melbourne is truly a viable community. Its graduates provide a backbone of learned laity whose presence and leadership are so urgently needed to restrain the forces of cultural assimilation.